In order to get the most out of your NICS Live experience you should aim to attend a mix of plenary sessions and seminar/workshop sessions. Make sure you also leave time to network with colleagues, meet with old friends and visit the exhibition space, where many departments and strategic partners will be showcasing their projects and best practice. Please see below the session programme for the day. 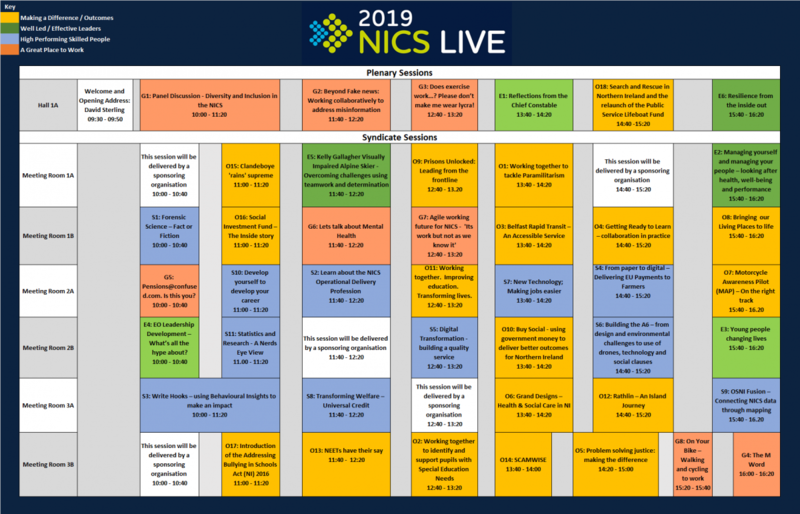 In addition, NICS Live is running a number of fringe sessions throughout the event, such as spot mentoring and WELL Health checks, for which you can also sign up for when registration launches on Wednesday 10 April.